JACKSONROOM — Ed Jackson "LIVE"
As an active jazz player on the NY scene, Ed Jackson followed his dream in 2011 after standing in an unfinished office basement, and at which point dormant forces came alive as he visualized a stage and a jazz club setup. He knew that this would be a huge undertaking, but the passion was there and realized that if he didn’t go ahead and follow this, he would regret it for the rest of his life. Situated in St Albans Queens, the venue offers live monthly jazz events featuring the Ed Jackson Quartet. The Jackson Room also happens to be in the neighborhood of where he grew up. This particular area of Queens was home to an uncanny number of musicians including Count Basie, Fats Waller, Illinois Jacquet, Miles Davis, Louis Armstrong, James Brown, Ella Fitzgerald, Lenny White, Marcus Miller to name a few. In fact John Coltrane lived on Mexico street which is just a few blocks away from the venue. While developing the venue was an enormous project, the club paid back Jackson by helping him to grow as a musician and has taken his playing to a whole new level. In addition to its role as a unique artistic outlet, the Jackson Room has provided Ed with a chance to fulfill a more personal mission of enhancing Queens cultural landscape. After working so many years in the music industry, Jackson feels very passionately about having a club up in Queens, because it is a borough lacking in places for jazz lovers to go and enjoy great music. Furthermore, this is also a way Jackson can give back to the community. 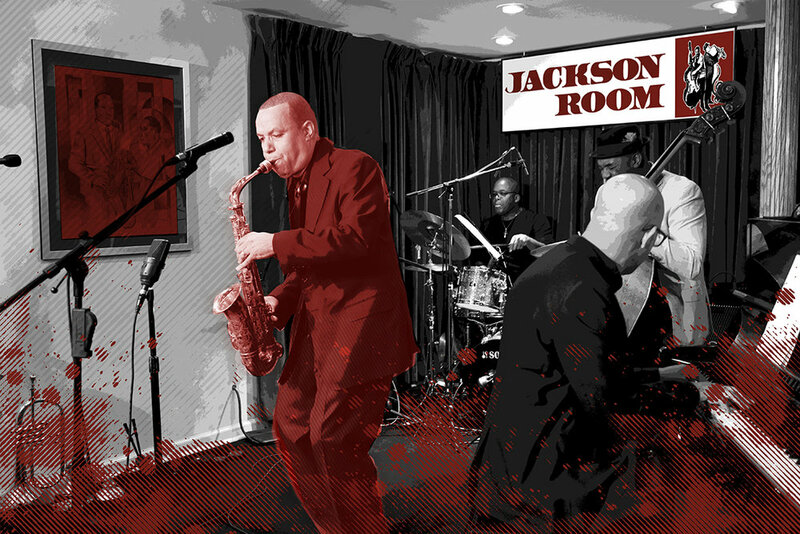 The end result is a top quality intimate jazz spot, named the Jackson Room.